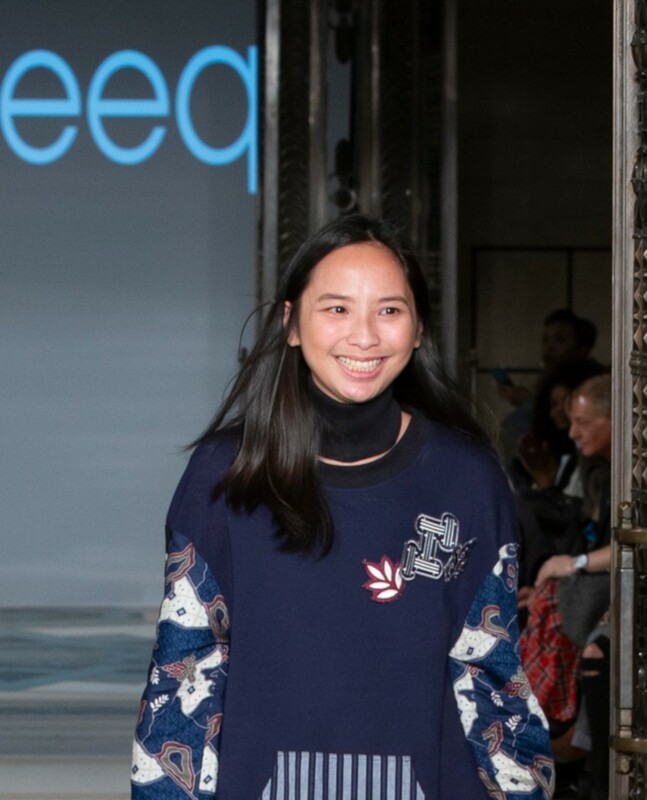 JAKARTA, Indonesia – Four Indonesian designers presented their collections at the Indonesian Fashion Showcase event in Fashion Scout, a showcase for emerging and established designers, during the London Fashion Week Autumn/Winter 2019. The event took place at Freemason’s Hall in London, from Feb. 15 to 17. Nila Baharuddin, Prasojobyrani by Maharani Setyawan, bateeq by Michelle Tjokrosaputro and PVRA by Putri Katianda and Kara Nugroho displayed their collections on Feb. 16. Nila Baharuddin’s Jewel of Sriwijaya Kingdom showcased pink, brown and blue couture dresses with Jacobean ruff accent and puff sleeves. The South Sumatra-born designer reminisced in the glorious era of the Sriwijaya Kingdom through accessories and jewelry from Palembang, South Sumatra. The archipelago theme was also carried by PVRA, an artisan footwear brand founded by Kara Nugroho and Putri Katianda. Launched in 2015, the brand presented diamond-embellished sandals and shoes that involved Indonesian craftsmen. Meanwhile, Michelle Tjokrosaputro’s bateeq showcased their latest collection, Arung, comprising detailed, multifunctional outfits with colors ranging from blue to dark brown. 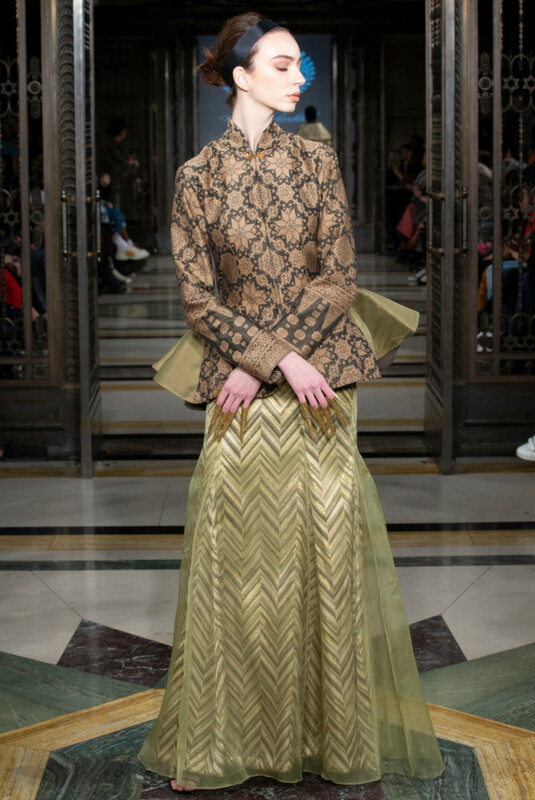 Prasojobyrani by Maharani Setyawan aimed to highlight lurik (striped woven fabric) with futuristic designs that consisted of outfits, bags and accessories.